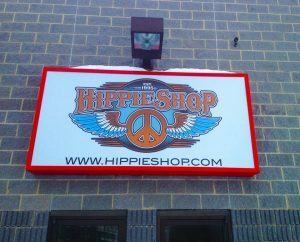 Lightbox signs are a great solution for your store front sign where you have night time visibility and traffic. We also offer face swap outs or refacing in certain circumstances. Please call to see if your store front is compatible with your town zoning department. Electrical maybe necessary in this application which we can provide a Licensed Electrician if you can’t provide one.